Teaching is a strange job. Much of it is solitary work: after-hours planning and late night marking. And yet, of course it is public. So very public. The act itself requires another person, and in our education system that usually means more than thirty of them. Our work is primarily self-directed. We have a curriculum to follow, and we must fit into the rhythm of school life and the assessment and reporting calendar, but we call the shots most of the time for most of our day. Combine this autonomy with high levels of personal accountability, a huge workload, and the rigorous treadmill of school life, and it is easy to forget that, actually, we are not alone. We are part of a wider body of colleagues: both in our school and throughout the country. And, with wonderful tools like twitter at our disposal, we have the potential to communicate with each other, help each other, and to influence classrooms we will never see. To illustrate this point, allow me to tell you a personal anecdote. I am in my first year at a new school, and have taken on a year 11 class studying a course I haven’t taught before. This is not an unusual situation (indeed it is the third time I’ve been in it) but this is the first time I’ve been able to borrow the work of other colleagues so extensively. I’m not sure how I found it, or when exactly I found it, but the hashtag #TeamEnglish has been a revelation. I could not quantify the amount of time it has saved me. Knowledge organisers, poetry anthologies, past papers, high quality schemes of learning: I’ve downloaded them all. I gratefully hit the ‘Print’ button, and watch as the work of a dedicated teacher, whom I don’t know and will not be able to adequately thank, is stapled together in neat little bundles. With all the time this has saved me, I have been able to ruminate on the ethics of this transaction. Does it constitute simply a (wonderful) act of collegiate kindness? Is it an act of financial stupidity? Or is it something more: a meaningful step in re-imaging our professional obligations? I don’t begrudge him his success. His books are affordable and useful. But some of the material I’ve downloaded for free using #TeamEnglish has been better. Surely the teachers, busy professionals, who produced these resources deserve a few quid? If they earn enough to go on holiday at the end of the year, wouldn’t that be great? In theory, that is what the TES shop should allow to happen. Teachers sell their handiwork at a nominal sum and are duly paid for their time and effort. Over the course of time, reliable purveyors of high quality resources will be identified by the market place and these diligent practitioners will be supplementing their income whilst simultaneously saving other teachers the task of producing resources. We all benefit. Have you ever bought/paid for a resources on TES made by another teacher? Mini-rant… It's so frustrating that so many people are *selling* resources on TES now. Want a w/sheet for functions, 300 paid for ones! Contrasting this experience with my own use of #TeamEnglish, it is difficult not to share @MissBLilley’s disappointment. @labourteachers I part run this account because collaboration and sharing is the best CPD and fantastic support at a time of immense change. @Team_English1 @labourteachers I feel teaching is all about sharing, and not just with the Ss. It also helps reflect and improve own prac. Informal collaboratives like this operate as CPD, improve the experience children get in the classroom, and connect us to each other. By helping to relieve the burden of excessive workload they also reinforce our professional kinship. We use other people’s materials and we are moved to share as well. Whilst TES’ paid resources may prove to be a huge commercial success, I do hope that is not the case. I entirely empathise with any teacher who seeks to make a very modest return on hours of their own labour. But there is something so brilliantly noble, so heartwarming, so exciting, and so empowering about #TeamEnglish that a few quid could never replace. It is a virtuous circle that helps us to see more clearly our professional obligations to each other. At a time of great upheaval and specimen change, it is right and proper that we band together and share the workload. It is better for all of us, and for young people, that we do this for free. Not least because, even though it may feel like it at times, in this profession we are never really on our own. In my first blog as editor, I wrote about what unites Labour teachers. The purpose of education is rarely a truly controversial topic amongst teachers. Although we each place our emphasis differently, the key notes of knowledge transfer, social mobility, preparation for life (emotional and economic) recur. Where educators disagree, quarrel, fall into rival camps and call for battle is pedagogy. An afternoon lurking in the shadows of edutwitter will reveal this in stark, truncated, passive aggressive snippets. Why is this the case? To quote Deng Xiaoping, surely it doesn’t matter whether a cat is white or black, as long as it catches mice: if we are all reasonably agreed on our preferred destination, why does the method of transport matter so much? The Left has an ambivalent relationship with schooling. 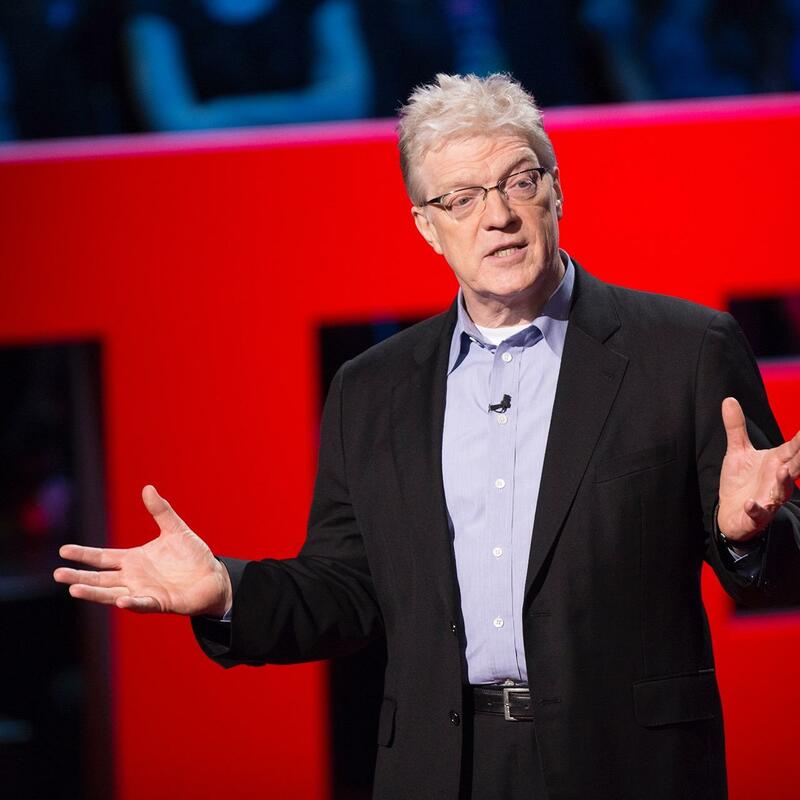 Sir Ken Robinson’s Ted Talk ‘Do schools kill creativity?’ is emblematic of a type of Romantic criticism of modern education that finds traction with some of the liberal middle-classes. The central tenet is a core belief in a Rousseauian individuality: young people are perceived to be unique individuals who need shielding from the warping effects of society in general, and modern capitalism in particular. In his lecture, Sir Ken charismatically explains that rather than being a symbolic victory in the liberation of the working classes, the development of free education for all was actually a crushing victory for capitalism against the vulnerable individual. Indeed, state education was created in the image of the industrial revolution and it exists only to serve its needs. Schools process our children in the same way East Lancashire mills handled cotton or Ford built cars. Young minds are arranged by ‘manufacture date’ (date of birth), moved from station to station in batches at the beck and call of bells, monitored, quality assured and finally, horrifically, graded. Sir Ken’s vibrant and inspiring speech has been viewed over 40,000,000 times. This is a viral success that far outstrips what one could reasonably expect from a (didactic) talk about education paradigms from a man without a large public profile. Evidently, it caught the zeitgeist and spoke to people beyond the professional confines of education. But for those of us who do work in education, it compelled us to ask a series of inter-linked, uncomfortable and profound questions: are schools moral places? Do they do good things? Am I a just a stooge of capitalism? Teaching is not a highly-paid graduate career, and nor, judging by recent statistics, is it a highly desirable one. But it is one that carries some residual social respect in the UK, although admittedly not approaching the near deification levels of esteem one might apparently expect in Finland or China. It is seen as a moral way to make a living. However bad the day was, or stressful, or unsuccessful, the weary teacher can be consoled that she is fighting the good fight. Narration (with the teacher as narrator) leads the students to memorize mechanically the narrated account. Worse yet, it turns them into “containers,” into “receptacles” to be “filled” by the teachers. The more completely she fills the receptacles, the better a teacher she is. The more meekly the receptacles permit themselves to be filled, the better students they are. Schools, then, are factories, banks, or jails: the holy trinity of evil to any Romantic. And the crucial thing that makes them this way is people like you and me: the teachers. And what is actually damaging the children is not just the cruel institution itself, but the way in which we teach. Traditional pedagogy denigrates, dominates and dehumanises the individual. The primary goal of real education is not to deliver facts but to guide students to the truths that will allow them to take responsibility for their lives. 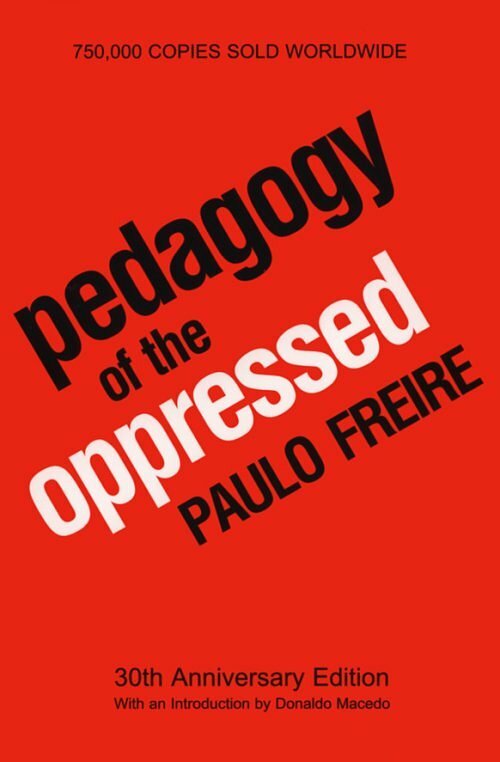 ‘Progressive’ education can be seen as an attempt to address some of the sterner criticisms of Robinson, Freire, Gatto et al., from within the education system. By changing the nature of the relationship between teacher and student, no child could claim to be dehumanised like a factory part, or treated like a soulless savings account. By focusing on creativity, engagement and choice, comparisons to jail would be rendered meaningless. Only in the Daily Mail do prisoners celebrate and enjoy their incarceration. On the surface of it, there seems to be little to dislike here and not much at risk. The valuable institution of school is perpetuated, but modified to suit the politics of its practitioners. The worst excesses are curbed, and the rights of the individual protected. However, such criticisms are hard to take. Traditional pedagogues grafting through life in their didactic way, believing they are helping to inform and inspire the next generation are entitled to mount a robust defence from this unanticipated attack by fellow teachers. It is easy to trace the outlines of their enraged riposte. Whatever the failings of traditional pedagogy, progressive methods are not, by default, benign. Whilst it is surely the case that many teachers use progressive methods to great effect, it is also possible to criticise the pedagogy using the same tactics as those employed to critique traditional methods. The straw-man opposite of the banker-jailer teacher is that of the cheerleading-guide-on-the-side. A merry adult merely observing, but not overtly influencing, an ‘education’ that has collapsed into an unstructured, student-centred series of engaging but ultimately insubstantial activities. This type of education also encodes a hidden curriculum. An unfettered dedication to the self, obedience only to one’s own fleeting interests, and an absence of depth, rigour and context in learning. This is thin soil on which to develop a fertile understanding of the world, and likely to yield a crop of self-entitled, self-satisfied know-nothings. These evils are surely as deleterious and as destructive to the individual and to society as those identified by Freire, Robinson and Gatto. You are afraid to see him spending his early years doing nothing. What! is it nothing to be happy, nothing to run and jump all day? The merits of this approach can be debated. The fact that he sent all his (five) children to Paris Foundling Hospital, and therefore very likely to their death, so that he would be free from supervising such jumping so that he could write about it is, sadly, indubitable. 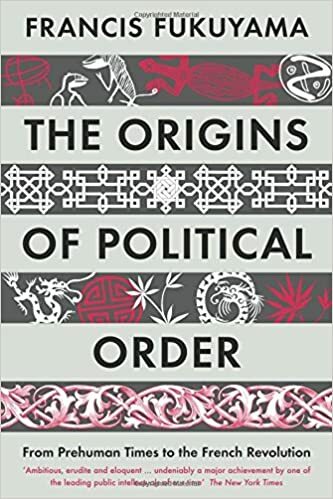 Ad hominem aside, Francis Fukuyama in The Origins of Political Order (2011), offers a substantial and compelling biological and anthropological challenge of Rousseau’s foundational belief in the ‘natural’ tendency towards ‘individuality’ in humans. Although it enjoys seeing itself as a challenge to orthodoxy, in British state education a version of the progressive approach had been in the ascendancy for a generation. When I did my subject specific secondary PGCE at Cambridge almost a decade ago, learning styles, group work, engaging starter activities, post-it notes, reduced teacher talk-time, thinking hats, etc. were recommended. Certain schools (who rejected the title ‘school’ and did what they could to reject the logical necessity of lessons and timetables) were held up as examples of what we could help build. The ascendancy ended when Gove and Gibb, acolytes of E D Hirsch, ushered in a knowledge-based curriculum. The teacher was now back to being sage on the stage, and the new school ideal looked more like a South Korean hagwon than a Rousseauian forest school. The pendulum swings because it must: because neither progressive nor traditional, as emotive as the debate is, has the monopoly on truth. Freire, Robinson and Gatto raise good questions, not all of which our current education system can answer. However, their objections are overblown. 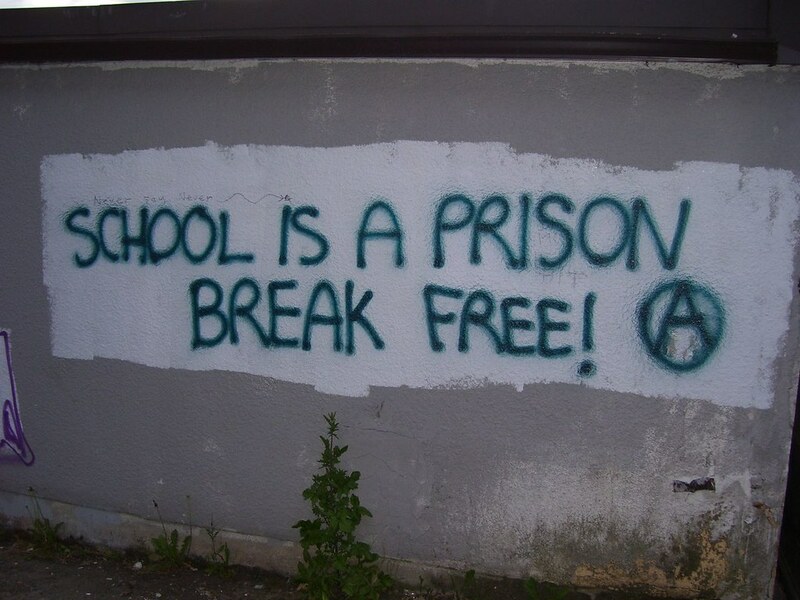 School is not, for most people, a loathsome adolescent jail or dehumanising factory. It is a good place, where mostly good things happen. If it is a workshop at all then it is the one where the meritocracy of our society is (imperfectly) formed. Most students recognise this, because ultimately so do most parents. Where the criticisms are at their weakest is, crucially, where the debate is at its most febrile: the nature and purpose of the teacher. Progressive educators are rightly very aware of the impact a teacher has on a young person, in particular through the messages that are encoded in the ‘hidden curriculum’. But teachers are not bank clerks. Nor are they factory workers, or prison screws. They have the potential to transform lives and they have the potential to bore, frustrate and underwhelm. The school system is not a cunning invention of capitalism, but a mostly safe, mostly good place where adolescents can learn to be successful adults. Anyone seeking to establish that traditional pedagogic methods, regardless of context, have a damaging effect on the psyche of children must contend with the fact that they have not just been the thin instructional gruel of the oppressed industrial proletariat. They have also been the de facto method of instruction utilised in boarding schools and grammar schools throughout the country throughout the centuries. I’m sure it would come as some surprise to well-heeled parents paying premium fees that the ‘hidden curriculum’ is inculcating in their children a learned helplessness. In Tony Little’s surprising book, An Intelligent Person’s Guide to Education (2015), the former Eton head’s holistic approach to education shines through. He sees academic studies as vital, but not to the exclusion of everything else. Lessons are a necessary aspect of an education, but not sufficient on their own. He writes warmly about house plays which explore complex human relationships, about the group dynamics of boarding life, about sport and how it develops character. State schools are not in a position to offer comparable levels of extra-curricular activity. That is a terrible shame. But a sense of perspective in this highly-charged debate is welcome. I feel that, ironically, progressive criticisms of traditional teaching methods assume that the only form of interaction a child has with an adult, or a peer, is in the classroom. This then charges these interactions, significant though they undoubtedly are, with more importance than they actually have. Lessons are not the only thing in a young person’s life. Each young Emile is part of a family, and a wider community. He has friends. He plays: maybe on the Xbox, maybe with a basketball. Maybe both. He uses the internet. He interacts with the world. He will learn obedience and deference, and creativity and individuality outside of the classroom as well as in it. School is vital, but it isn’t, and shouldn’t be, the only place a young person learns. It isn’t the root of all social problems, nor is it the panacea. My interest in the debate is more pragmatic than polemic. On the continuum I’m much more traditional than progressive, but really I’m just concerned with catching mice. The aims of education are much more important than the means. But I believe this because, as outlined above, I think the criticisms of Freire, Robinson, Gatto et al are mistaken and therefore their solutions unnecessary and replete with their own failings. But I think having the debate is vital. Where we have this tension between traditional and progressive pedagogy, it is likely that neither side will attain ideological purity, and we will enjoy the best system: an alloy of the two. If you are able to spare a couple of hours in the next few weeks and raise your head above the endless forms, data entry, verbal feedback stamps and meetings, I’d recommend a book. I was sign-posted the book Educating Ruby (by Guy Claxton and Bill Lucy) by a Primary head but as an Economics teacher of mainly sixth formers, I can vouch that it spans the whole school spectrum in relevance. The “star” of the book’s title is a fictional ex-student called Ruby. She left school a couple of years ago and bumps into one of her teachers in town and says “Thank you”. This confuses the teacher who remembers Ruby and recalls that Ruby didn’t achieve the fabled 5 A-C at GCSE. But Ruby goes on to say the school taught her an invaluable list of skills that have set her up for life, this got me thinking, what are we in education for? If school is to prepare young people for work then we are failing at it. Britain’s woeful productivity levels, stubbornly high NEET rates and disagreement from the CBI tell us that. If it is for kids to enjoy it and gain a thirst for learning then again, we are lacking. Too many students leave school disinterested in learning and the high levels of mental health problems we are seeing in our children show it is no easy ride. If it is to give teachers an easy ride, the huge increase in teacher workload and teachers leaving the profession in their droves say it’s not. So what is it for? Why did we go into teaching? I believe (and Educating Ruby has helped me remember this) it was to inspire young people, to engage and enthuse them in the hope that they will want to go on and be as enthusiastic about something in the same way that I am about Economics. I don’t believe any of us were nervous at the teaching of our first lesson because we were worried we were not showing Ofsted 20mins of progress in a lesson. We wanted to inspire. Teachers and schools are like political parties in that they are remembered in themes. I don’t remember much of the facts I learned at school despite how important it seemed at the time. I dare say that if I didn’t go on to become an Economics teacher, I may well have forgotten where the point of allocative efficiency is! And anyway, the pub quiz curriculum is made redundant thanks to Google. But I do remember being gripped by it, I remember the lessons being fun, I remember laughing, I remember wanting to find out more, I remember the teacher speaking to us like adults and being interested in our views. It helped that football was one of the major common interests but there was some discussion of politics and economics in there too. I keep thinking of two phrases where education is concerned: pluralistic ignorance and collective conservatism. Pluralistic ignorance is where a majority of group members privately reject a norm, but incorrectly assume that most others accept it, and therefore go along with it. Collective conservatism is where groups stick to established patterns even as new needs arise. To me these two perfectly encapsulate where we are in education. The book ends with a call to arms for parents, teachers and communities. If we are not happy with the way education is for children today we have to take steps to change it, these all essentially stem from asking questions. This is something schools seem to beat out of kids from a young age and so adults are not very good at it. But question why things are done in a certain way, to teachers, to school leaders and to politicians. To discover and realise the genius in everyone. To learn about the people in the world with whom you have to live and their history and culture. To acquire the skills to do the work you want. To build up your confidence in yourself. To discover the danger of hate and the power of love. Educating Ruby calls them the 7 C’s (I’ll let you look them up) but whatever they are called, they are a world away from what we are currently doing in schools. Ashley Pearce (@ashleypearce84) is a secondary school economics teacher in a comprehensive school just outside of Reading. Last year he was elected as a councillor for the Labour party for an area in South Reading. He is also a Reading FC fan and keen reader of educational literature. Last year, Andrew Old announced he was stepping down as editor of Labour Teachers. He asked if any of the regular contributors wanted to take over: I assume I was the only one who replied in the affirmative. This must have been the case, because my reply was not especially enthusiastic: “if you can’t find anyone else, come back to me.” Come back to me he did, and this is the relaunch. I was apprehensive about taking over the website, because I feel about Labour the way Chesterton felt about Liberalism. My commitment is to the core political ideals of the party’s foundation: the common good over private interests; fairness; social mobility. I believe in these ideals completely, and my career in teaching has daily demonstrated their veracity to me. I am much less intrigued by the party itself, and although I have been a member for over a decade now, I have only sporadically been ‘active’. So, why am I taking on the responsibilities as editor of Labour Teachers? Because, although I am weary of tiresome factionalism, I remain inspired by our core values. Whilst I am disinterested in party politics, I am passionate about education. And I believe that I am not alone. This website can play a crucial democratic role. It can link the lived experience of the thousands of Labour supporting educators with policy-makers and politicians within our party. We are on the front line; we are at ‘the chalk-face’. We see clearly what the problems are and we feel the effects of education policy. We live with its consequences every day. And we should make our voices heard. If you are a Labour supporting teacher, join us. Subscribe to the website. Write for us. Share the content. If you feel the party has been to quiet, too inexact, or just plain wrong in its education policy: get involved. It is in the finest democratic tradition of the Labour movement that you do so. After a long break, Labour Teachers will be relaunched soon under new editorship. Before that happens we will be sharing some posts sent to us during the hiatus. Zeno is an RPE teacher who is in his fourth year of teaching in Bristol and the South West. He has been a Labour party member for nearly 7 years and used to dabble in journalism before he settled down to a more noble profession. Parents’ evening should be something we all hate, but it’s actually more important than we realise. I don’t mean that it empowers us to improve behaviour or attainment. I think its most important role for society at large is as a vital way to start to burst through the bubbles we insist on living in. If you strip it back to what it really is, the evening is 3 hours of awkward conversations where you shatter parents’ and guardians’ illusions about their little darlings. The fact that it usually follows an already hectic 8 hours or so of working day means that your ability to think and articulate is usually quite diminished. You stammer out some half-baked positive psychobabble and recite some grades which you know relate to a pointless assessment, against a target set by a computer with a very different agenda to yours. Being able to repeat the same jokes 30 times to different audiences and watch as they either flop like a badly timed bottle flip, or land perfectly, like a well launched one (if you don’t get the reference: just go into any playground and watch). Organising your life into 5 minute slots so that you’re far too busy to feel bored or tired. Explaining why RPE is really the most important subject in a world of decreasing tolerance and heightened existential dread. All these things help to get me through an otherwise painful evening (and career) but what I appreciate the most is the ability to snoop on the way other people live. A parents’ evening is much like being a fly on the wall of different families’ homes. There are the ones who regale you with their in-jokes and gentle joshing while the embarrassed teenager rolls their eyes. There are the parents who write down everything you say so that they can pass it on to the other side of the divorce at a later date. There are the students who you’ve barely heard speak who brighten up in front of their parents and talk to you like an old friend. And sadly, the conversations where you feel like you have to step in to defend a child from getting a hard time. It truly is a unique aspect of the public sector job; those in the private realm don’t often find themselves teleported between so many households to see how ‘the other’ lives. Those happy in their comfy bubbles will vote to keep them that way. Those at the chalkface, or who make home-visits or run walk-in sessions of any kind, work between the contrasts, divisions and juxtapositions of our society. The cliché that we all live in bubbles is due an update. Bubbles are soft and floaty and easy to burst. The chasms in our society are not so. Many people can’t name anyone who voted the other way in the referendum. Many people cannot see further than immigration as the reason for all the world’s problems. Political parties of all kinds rip themselves to shreds rather than compromise and work together. I’m not suggesting that we treat parents’ evening as a door-stepping opportunity, an opportunity to highlight the effects of the brutal cuts or even as a place to slowly and clearly explain that learning about Islam isn’t the same as supporting ISIS. I just mean that we need to recognise that a special thing happens at parents’ evenings which doesn’t often happen anywhere else: people’s bubbles overlap. Comprehensive schools are a huge opportunity for lives to cross over. Parents waiting for their appointments are introduced through their child’s friendships. Parents who hated school come back and see it from a different angle. Kids who play up to a role in class, snap out of it in front of the sheer variety of adults who genuinely care about them and their future lives. I know we don’t exactly break down every barrier nor put the world to rights, but there is a real sense of multiple different worlds meeting. If you don’t believe me, look at the amount of effort that some parents put into looking as presentable as possible. Perhaps they are intimidated by a professional giving a face-to-face rating of their genetics and parenting. Or perhaps they realise, more than teachers do, that they are stepping out of their comfort zone, with their ears open, to listen to that rare thing: an opinion from the other side. David Williams is a former Literacy Coordinator who is now English KS 4 Coordinator at a bilingual comprehensive school in South Wales. In reality the press have a number of constraints placed upon them. The first constraint a journalist faces is that of interest: you only get to write stories which are important enough or engaging enough to of interest to your readership. Without a readership interested enough to read your stories you don’t have a paper. In order to grow your readership the temptation is to write the most sensational stories and there are clearly newspapers who appeal to sensationalism in order to grow their readership. However the revenue necessary for keeping a paper going comes less and less from people paying for your stories and to a greater and greater extent from advertising revenue. This can create conflicts of interest. You may avoid writing stories which offend your revenue sources for fear that you will lose them. At this point I’d like to be clear that I don’t think this is the healthiest of situations for a free press; it is however the situation we are in. And the reason the organisation which created the code does lack teeth is a good one; quite simply we do not trust an independent press regulatory body would be truly independent. If it had too much power the worry would be that a government or indeed other interested powers could use it to silence the press about stories which portray them negatively. The most important constraint upon the press is of course the law. And certainly the majority of the press would argue that this is enough. The recent Leveson inquiry gave voice to those who disagree; those who feel the press have become too intrusive, tyrannical and indeed corrupt and that more legal constraints should be placed upon them: the stories they choose to write; how they investigate those stories; how they portray their subjects. There is also a constraint on the freedom of speech in our law. We are not allowed to say anything we like and just like any private citizen the press is not allowed to incite racial hatred. You may disagree with this law because you may feel it shuts down debate, or you may believe that such a law provides a reasonable constraint which benefits society at large. There are also constraints of time, space and of course information. You can only write about what you know in the space your editor allows to meet a deadline. If one party is unwilling or unable to provide a journalist with information or a counter argument that journalist will write using what is available. Because schools have a duty to protect children very often they simply cannot make a comment and there is a reasonably regular supply of ridiculously one sided stories certain newspapers have published in which some schools have been vilified. So a free press? – well it is quite free. In a capitalist western country this could be the best we can do. However many would and have argued that the press need further constraints; that certain newspapers are reporting the news in an incredibly misleading, wholly irresponsible and indeed dangerous manner. The Daily Mail is clearly the most obvious example of this. This is a particularly notorious correction it was forced to make. Very recently the paper also vilified a group of judges for…well…doing their job. Most disturbingly this is the sort of language totalitarian dictators have used to discredit those they sought to scapegoat. This all brings us very neatly to the question at hand and the reason I am writing this blog. There are those on the left who feel that action must be taken to force the Daily Mail in particular to report the news in a fairer manner. They feel that the newspaper misleads the public and fuels hatred in order to portray their own xenophobic view on the world. So they have started to try to pressure companies like Lego into withdrawing financial support for the paper by refusing to advertise in it. I would argue that there is little difference between a campaign like this and other consumer driven campaigns to pressure other companies to behave more ethically. @oldandrewuk clearly disagrees with this course of action and has made the case that some on the left are trying to “silence the press” and shut down debate, and in a perfect world in which papers like the Daily Mail genuinely regulated themselves I might agree with him. However we don’t live in a perfect world. I don’t believe that the Daily Mail is a paper which regulates itself either in terms accuracy or journalistic integrity. They seem more than happy to produce a sensationalist and inaccurate headline and publish a correction after the fact, when the damage has already been done. In my opinion given this context activists are perfectly entitled to lobby companies to withdraw financial support. Essentially activists are trying to force the Daily Mail to regulate itself, because it doesn’t. I don’t accept that this constitutes “shutting down the press”. It is, however a means of trying to make the Daily Mail more accountable for the stories it writes and the language it uses. I thought like most people that the Trump thing would be a footnote in history and somehow sense would prevail. Of course, now I am incredibly less sanguine. I have put some thought into the features that seem to mark out the strange era we are living through. Certain ideas are becoming common currency and not just in America. Let me list a few of the common occurrences that seem to be increasingly with us. The rally has never had much affection for me. Everyone re-enforcing each other’s preconceptions and tricky use of mass psychology. Well here is an old idea making an unwelcome comeback. Suddenly a particular individual can do no wrong. Icons appear and devoted followers hang on every word. Rather pathetic if you think about it but very appealing for some. Attacks on those who bring uncomfortable or challenging messages. Here the ridiculous phrase ‘Main Stream Media’ or MSM has appeared (in the US the phraseology is different but the meaning is the same) as a kind of catch all dismissal of any outlet that dares to produce contradictory narratives to the accepted ideological correct versions. If you are not completely on board with the leader or his acolytes then you must be a traitor of some kind. Open debate and challenges are not acceptable in this kind of set up. The inevitable splits and factionalism will occur. Give it time it will happen. Conspiracy theories and attacks on existing or former allies will always follow. Pretty common this one. If loyal adherents feel they are special in some way it encourages their feeling of self worth. The fact that many are simply easily lead would horrify them. We have all seen the ‘Women for Trump’ banners but I have also spotted ‘Women for Corbyn’ equivalents. This is so wrong on so many levels that it almost beggars belief that those holding them can be completely of this world. Similar use of ‘Veterans for Trump’ or ‘<name a minority ethnic group> for whom ever’ are also in evidence. I would be pretty sure similar nonsense can be found in such movements across the globe. Examples would be helpful. For there to be acceptance of any group as valid in promoting progress and the best of enlightenment values the minimum would be to see if it is inclusive. Those that single out minorities for attack or allow space for others to do so fail that basic test. Ignoring failures as unimportant and seeing all as correct. I had expected to include the Trump movement as having failed in their main initial aim of winning the election. As that did not happen (damn it) leads us all to examine just what has gone wrong. Or it should! Already one or two have claimed that in some way the US election result opens opportunities for them. This has occurred recently even in our own party. What utter piffle. The US election result is a massive defeat and to say any different is a step back from reality. We are in horribly dangerous times and this should be clear to us all. The defining aspect of all the above. The use of crude simple solutions to vastly complicated issues is profoundly dishonest. From Hungary to Turkey to The US to our own party (and who knows where else soon) reaction is on the march. We have a history of democratic pluralism that needs defending. Let us get to it. After 31 years of teaching, 15 of them as firstly Headteacher, then Principal, and latterly as Executive Principal and CEO of an Academy Trust, Ros is now working independently in the sector. Last December I wrote a blog for this site about why I was staying in the party and why everyone else should too. So agonising this week and looking again at the decision I re-read it. My thinking back in December was that we could leave and let the party implode to electoral oblivion or stay and fight. Well we stayed and fought. And we lost. What now? I realise that many reading this blog are energised by the Corbyn takeover and think it a great thing for British politics. As a teacher I cannot share that view because I remember 1979-1997 too clearly. I remember what our schools looked like. I remember the lack of opportunities for so many of my generation. I remember the condition of our hospitals and I remember the homeless on the streets. And it is all happening again. The answer isn’t to shout about austerity; the answer is returning a Labour government. “Look at how many people Corbyn attracts to rallies; feel the enthusiasm” they tell me. Yes, well we lost a safe Sheffield council seat after one of those rallies took place in the city. I know from the bitter experience of my youth it matters not how many people you get energised at rallies; what matters is convincing the electorate to vote for us. And the party is shedding, not winning, voters day-by-day. I cannot have a conversation with anyone these days without them saying that Labour is unelectable and any member who has been on the doorstep reports the same. The public are not going to vote for Corbyn as Prime Minister. The evidence is all there but those carried away by the ‘momentum’ and talking to each other either don’t see it, or do see it and don’t care. The call for unity now means accepting defeat at the ballot box. So what matters more to me – my party or my country? The fake unity “for the sake of the party” plays straight into the hands of the Tory government – an unelectable opposition. Continuing to tell the truth from within the party only highlights how disunited we are (not that this is a state secret anyway) but it certainly wouldn’t help our electability. Tearing up the membership card and letting them get on with it, lose drastically and shed all these new energised members – maybe that is the morally right thing to do? I really don’t know. What I do know is this: I am in politics to get stuff done and that requires being in power. In a democracy gaining power inevitably means pragmatism and compromise. Inside our party now we have two clear groupings – those who are prepared to be pragmatic and compromise and work to gain power to get stuff done, and those who want to talk to themselves and feel good about their principled opposition. The party is in the control of the latter group. This means a nasty Tory government who will unfortunately be allowed to get stuff done: stuff that will damage the young people in our care. So I, like many others, am having a long hard think. Matt Collinson is a Labour Party supporter and has been teaching for four years, most recently in London, and is about to become Head of Department. “You need to support your points with evidence.” I need a marking stamp with this on because I write it so many times in pupil’s books. A similar point is expressed clearly in exam mark schemes at GCSE and A-Level in my subject, Geography. I teach student about real life examples, real places, with real processes and real people, stressing that they are studying the real world. We call them ‘case studies’, and by-and-large pupils hate them because they need to learn facts. In fairness, ‘facts’ are relatively easy to come by. The need to know a fact like a date has been diminished by the easy of tapping a few words into a search engine on a phone and having the answer handed to you (in easy copy-and-paste format). What has not changed for me as humanities teacher is teaching students how to communicate these facts in PEEL paragraphs (point-evidence-explain-link for the uninitiated). However, the role of facts in debate seem to be being lost, and all walks of ideological life seem to be part of the issue. This became apparent during the EU referendum campaign when ‘experts’ seemed to be ignored. People seemed to be tired of hearing what academics, economists, and seasoned politicians were saying. The siding with polemical, populist sentiment is not new but the clear distrust of expertise seems newer. Then Monday’s US Presidential Debate took to the stage. Donald Trump has played the anti-establishment card as fervently as Nigel Farage has done in Britain but this has become synonymous with anti-truth. Trump flat out lies, time and time again. For just one example, he said he has never denied climate change but his twitter timeline suggests otherwise. Both candidates said some things that are not quite true but, as this graph suggests, Trump was far less accurate and was spouting falsehoods like an alternative reality Trevi Fountain. How far this has gone even led to the somewhat bizarre situation where Hillary Clinton told the audience to check her website out for it live fact checker. I even had my head in my hands when Clinton referred to expert economists verifying her economic plan, thinking that such an endorsement whilst well meaning is possibly futile and worse, detrimental. How far have we strayed from facts, reality and integrity? Back in Britain, aspects of the Labour Party seems completely unable to come to terms with facts and reality. Polly Toynbee in a piece in the Guardian has written about the way she has found some Corbyn supports so blinkered by their own passionate views that they display similar levels of suspended reality to religious faith. At first this seems an unnecessary attack on religion but perhaps hints at a new secular religion of political support where stone cold facts are not required for impassioned belief. She describes how one Corbyn supporter heckled a speaker who pointed out the electoral reality that Labour need to win some people who voted Conservative in the 2015 election. The heckler retorted that, “Why? We don’t want Tories.” Toynbee points out that the electoral mathematics does not add up for Jeremy and Momentum but this will fall on deaf ears despite the very transparent statistics. This is all before we get into debates about ‘othering’ of people who might be slightly different and assuming that all people who vote for a particular party are therefore automatically the enemy. Such generalisations, lying, blatant untruths and distrust of people with different perspectives are anathema to good Geography and I believe to bringing up good global citizens. That is why I will keep telling my students to use facts, statistics and evidence to support their views. First, it helps them communicate their points in a persuasive and robust fashion; second, it teaches them the importance of informed discussion around an issue and not just mud-slinging; third, it helps them realise the importance of critical thinking for when they hear things on the TV or read things on the internet so that they are conscious of when someone does not use evidence and wary that such ‘facts’ may not be entirely true either; forth, reality is the basis of our understanding of the world and if we disregard it then we will make terrible errors of judgement.